Windows can make a home feel so warm and open. And the number of windows as well as the quality of them is important as well. Windows bring in so much light naturally and there are a few new trends that are making your windows even more energy efficient and beneficial for your home. Windows are now being installed large and with less coverings like curtains and glazing services are making them more energy efficient as well. larger windows are all the rage right now. The larger the better. If you have the opportunity to take your windows floor to ceiling you are winning. Large windows give your space the feel of just openness that cant be achieved as well with small windows. A large window allows for the indoors and outdoors to almost blur together in one space. This can be wonderful for windows in the back of the home or in the living space where the family gathers the most. Another great trend that has been seen for windows is using less window covering. Gone are heavy drapes and curtains that were dusty and didn’t allow for sun to come through. 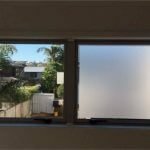 Now window coverings are more transparent and able to be moved and pushed aside, so that they can be allowed to bring light in when you need it but also provide a bit of privacy when you need it as well. A naked window is not always the goal but it is nice when you can in the backyard windows or if you don’t live in a neighborhood where your neighbors are super close to you. 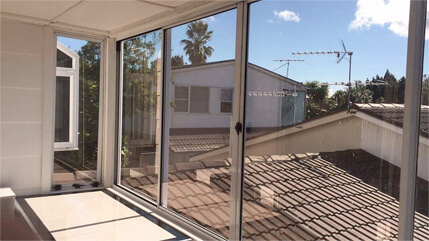 A more practical trend that is taking effect is getting a glazing service New Plymouth done to make your windows more energy efficient. 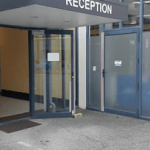 A glazing service can be done even on older windows and is more cost effective than replacing the entire window if your frame and glass are still in good condition. A glazing service can save you on your energy bill for cooling and heating. Its a simple thing that more homeowners are doing to extend the life of the windows that they already have in place. Home trends like mirrored ceiling and fish tank bars tend to go out of style fast. But window trends tend to last longer because you can never have to many windows. A window is the best way to bring the outside in and make your space feel more open and naturally brighter. Larger windows do a great job of this and by reducing the type or amount of covers and shades for the windows you have a better chance of enjoying it. Glazing service allows you to enjoy your older windows longer by making them more energy efficient and is more cost effective than replacing the entire window. These are some simple ways for you to enjoy your windows more and appreciate the light they bring into your home.